McFadden's Blog - Hardwood & Hardware Wholesaler: Staff Spotlight! April 2017: Paterson Farrell! Staff Spotlight! April 2017: Paterson Farrell! 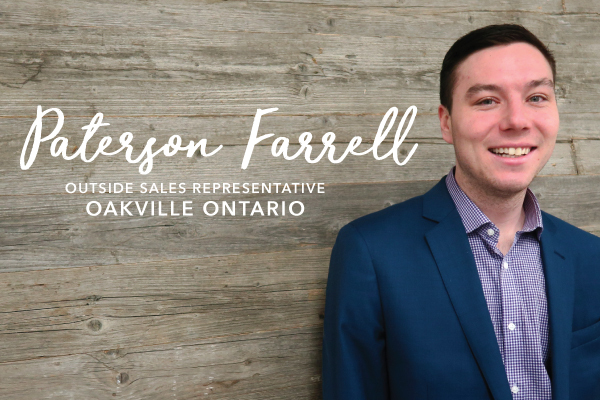 Paterson Farrell is a new outside sales representative in our Oakville, ON branch. He joined the McFadden's team in 2016, starting on the inside sales team before moving to an outside territory. Playing sports is a big outlet for me. What is one word that you would use to describe your team at McFadden's? Everyone is really outgoing and helpful. We're like one giant family.